Currently, the Ministry of Natural Resources and Forestry (MNRF) is gathering public input on the proposed closure of the Walleye fishery on Lake Scugog. The MNRF is hosting an open house on Tuesday April 28, at 5:00 pm to 8:00 p.m. in the Rotary Room at the Scugog Memorial Public Library, 231 Water Street, Port Perry, ON. Once a fishery is closed, it is very difficult to get it re-opened. If Walleye fishing is closed on Lake Scugog, even seasonally, will it ever re-open? At what point would the MNRF decide to re-open the fishery? Has there been any assessment of the potential socioeconomic impacts to the local community that would result from the proposed closures? MNRF indicated in their information backgrounder that if the fishery were to recover, it won’t likely reach historic levels. How confident is the MNRF that closing fishing will recover the fishery? Anglers are being singled out as the only cause for the Walleye population declines in Lake Scugog, but angler harvest has not been shown to be responsible. Closing the fishery is not likely to have the intended effect of recovering the population, but will have socioeconomic impacts. Anglers and the community need to understand what they are giving up and what they should hope to see in return. The OFAH wants to see a solution that will recover the Walleye fishery in Lake Scugog, and that will take management proposals that aren’t limited to fishery closures. To date, this has not occurred. I think the solution is that the lake should be stocked, lots of others lakes are stocked what so different about Scugog? Also the winter season should be closed. The limit should also be reduced to 1 or 2 fish per day. This would restore the fishery and also maintain healthy a fish population. Being from the west coast, we would regularly hear very valid concerns about the socioeconomic impact of closures on specific rivers or species of salmon/bottom fish. At the end of the day, it always came back to fish abundance and closures happened regularly. While us sport fishermen, weren't always happy, it was the right thing to do. Over time, many of these fisheries opened again. After all, if there are no fish, all those socioeconomic benefits will also disappear. For me, it isn't about what I'm giving up.... it's about what we are doing for the future. 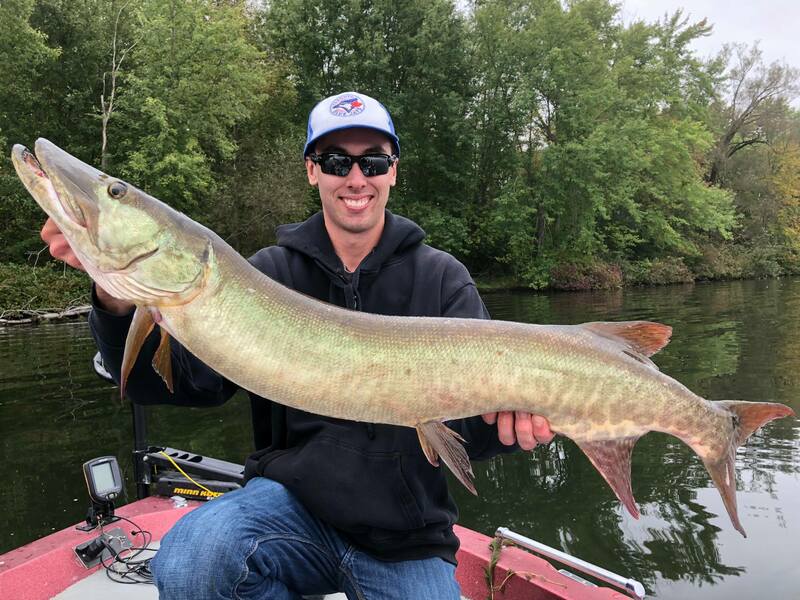 Ecosystems are extremely complex and fish populations are impacted by countless variables; climate, population, or the composition of the "fish community" that MNRF notes in their invitation for comment. Quantifying the impact of any of these variables is challenging at best and in some cases not determinable. What can be quantified is if I retain a Walleye today, there is one less Walleye in Scugog tomorrow. We have a responsibility to be part of the solution even in the absence of a holistic plan. Lastly, I sometimes feel that the MNRF is made out to be the "bad guy". I completely agree that we should provide input at the townhall and challenge their assumptions. As stakeholders in the process, we actually have an obligation to do so. When challenging the MNRF, I try to remember that they aren't rewarded or compensated for taking bold but necessary steps such as closing the fishery. They ultimately want what we want and that is a sustainable resource to be enjoyed now and in the future. I guess that's a long winded way of saying, while I may not be happy about the proposed closure, I recognize that not fishing for Walleye definitely won't hurt their recovery and I'm happy to be part of the solution. Well this is definitely good info. Thanks for posting. The Ministry of Natural Resources and Forestry (MNRF), with support from the Fisheries Management Zone 17 (FMZ 17) Advisory Council, is inviting the public to provide input on proposed changes to fishing regulations for walleye on Lake Scugog (within FMZ 17). The MNRF with the support of the FMZ 17 Advisory Council developed a Fisheries Management Plan for FMZ 17 in 2009 which identifies management challenges associated with the recreational fishery in FMZ 17. The observed declines in walleye abundance, and associated shifts in the structure of the fish community, have been identified as the highest priority fisheries management challenge in FMZ 17. The walleye population in Lake Scugog has been assessed by MNRF since the 1970s. The walleye fishery in Lake Scugog was excellent in the 1970s and 1980s; however, the population started to decline in the 1990s and continues to decline today. Since the 1990s, walleye abundance has continued to decline due to continued high fishing pressure and the additional factor of low annual recruitment (the number of small/young fish being added to the population each year due to natural reproduction). Fish community structure changes may also be impacting walleye abundance in Lake Scugog. The fish community in Lake Scugog is now dominated by bluegill and black crappie. These fish species compete directly with young walleye for food and habitat. Black crappie may also prey on young walleye. These factors, among others, may lead to a reduction in the number of walleye that survive to adulthood. If the walleye fishery is to recover, harvest levels of the past can no longer be sustained. The MNRF, with cooperation with the FMZ 17 Advisory Council, has developed proposed regulation options to address the serious decline of walleye in Lake Scugog. 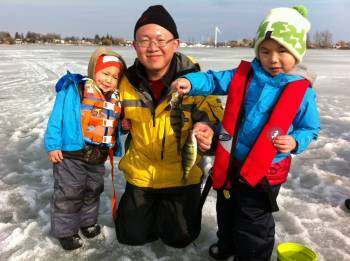 Option # 1: Close winter walleye season (Jan. 1 – last day in Feb.), maintain current summer walleye season (the season for Lake Scugog would then be aligned with the dates of the open walleye season for FMZ 17 (2nd Sat. in May – Nov. 15th)). Option # 2: Close summer and winter walleye seasons (long-term moratorium). 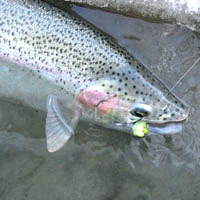 Seasons for other fisheries remain open. I have fished Lake Scugog for many years and the walleye population has decreases, yes some guys are still finding some, but the random schools that used to hunt along the weedlines have diminished. Reasons, combination of factors, over-fishing / fishing pressure, urban development around the lake and possibly population explosion of crappie. But I think the over fishing and urbanization are the main culprits... Lake Scugog used to be a cottage destination lake, but now with the expansion of the city, it is an urban lake. It gets fished everyday locally, many people now live on the lake and the winter fishery (walleye open) doesn't help either. This is the normal progression as the city expands, and a lake becomes more local. 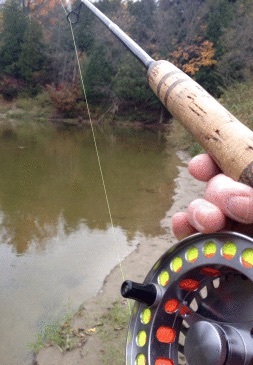 Why not have the season open as before but only catch and release? i say they should close it for a few years so the population can grow. I remember going to Scugog 20+ years ago and it was great. You could always catch a few walleye. The causeway was a great and was a great way to kill time in my teens and early 20's. I have been able to catch a couple of picks on the bog every year but not like before. x2 - when it was stocked years ago the numbers were there and managed appropriately. Shut it down for 5 years at minimum, during that time work hard on lake restoration. In reality 5 years is nothing, this is going to be the start as I am sure it is going to have to move to more lakes in the next few years. The big thing is if they do close the lake then they must strictly enforce the rules. If you get caught they start by taking all of your fishing gear on the spot and large fines of $10000.00 plus. The government should be stocking every inland lake on a regular basis and not just the Great Lakes. They need to put a catch and kill on the Crappie in the lake if they are affecting native fish stocks. No just closing the lake to walleye fishing and hope for the best do nothing to save a buck attitude.